FOCA has created a new resource titled, Managing Your Waterfront Property in a Changing Climate. 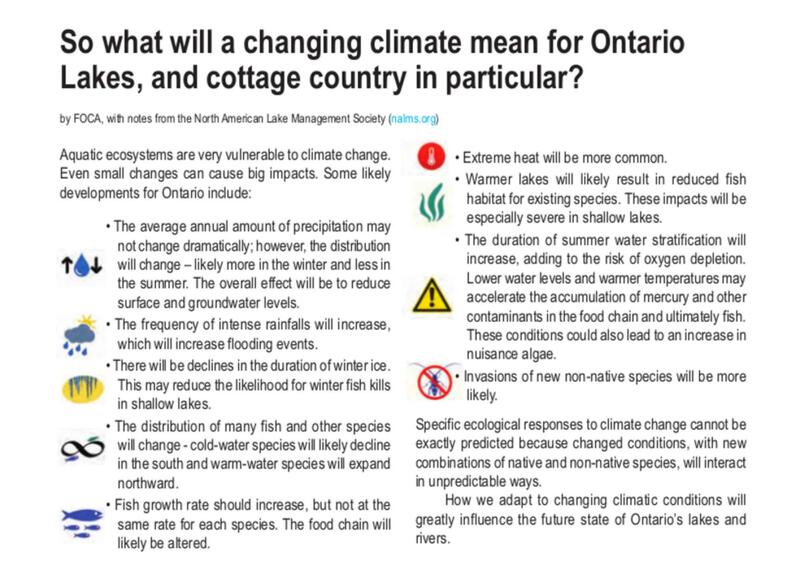 Find out about the signs of climate change in cottage country, and get tips to help adapt your own property to these conditions. Click here to download a .pdf copy (20 pages). November 2016 - Ontario Minister of Environment and Climate Change Glen Murray sent this video address to attendees at the FOCA Fall Seminar for Lake Associations, held on November 12, 2016. Hear the Minister's thoughts on the role of cottage country owners as stewards of the waterfront in the face of climate change. Click the video image on the right to hear his presentation.